Home » Why Should Drug Testing in the Workplace Be Encouraged? 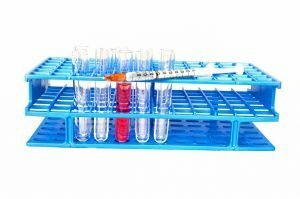 Why Should Drug Testing in the Workplace Be Encouraged? In 2016, 64,000 people died from drug overdose. 41,000 of those deaths were related to opioids. In fact, opioid abuse is responsible for more deaths than vehicular accidents. As if that’s not enough, it’s estimated that 70 percent of the 14.8 million employed Americans use illicit drugs at work. These alarming stats point to a more widespread national opioid crisis in the US. Drug overdoses are now the leading cause of injury death in the country. With stats like this, why does drug testing in the workplace get such a bad rap? After all, a drug-free working environment is good for all and sundry. It appears that most of the complaints involve some sort of privacy violation. People are concerned about strangers testing their urine and blood for metabolites. As valid as their privacy concerns may be, the reality is it’s the employer’s job to ensure that the workplace environment is safe for everyone. Anyone incapable of complying might have to deal with the attendant fallout. The benefits of company drug testing far outweigh the cons. The average company tests for THC, Opiates, Phencyclidine (PCP), cocaine, amphetamines. This is usually carried out via the 5-panel drug test, which is the most popular drug test used by private and government agencies. When people know they can get tested, it usually has a lot of perks. Substance abuse has a negative effect on workplace productivity and employee morale. Employees who take illegal drugs tend to ask for more sick days, show up to work tardy, make poor decisions, and struggle with concentrating on work-related tasks. As a result, someone else has to fill in for them while they’re busy taking these “off days”. This puts other workers’ under unnecessary stress and jeopardizes their productivity. Not only do they have to deal with the erring staff’s inconsistent work quality, they may also have to juggle their assignments with that of the substance abuser. If one employee doesn’t do his/her job, it’s likely going to affect others’ output. When a company is frequently short-staffed, it’s bound to affect other employees. This is particularly important in highly skilled positions. Workers who aren’t adequately skilled will most likely, not do as good a job as the person(s) hired for the job. And since people love working on things they’re good at, this poor performance or output will result in them feeling demoralized, overworked and fatigued. Drug intake in the workplace often causes cognitive impairment, which in turn causes poor decisions and bad judgment. This is probably why 11 percent of all workplace-related fatalities involved employees who were inebriated. Workers who aren’t thinking clearly, are more likely to become lax about safety. As a result, they may not put in place, key safety protocols. This carelessness can potentially expose other workers to personal injuries on the job. 38-50 percent of all work comp claims are linked to drug and alcohol usage in the office. That’s currently around $81 billion per year in the US. This is money employers have to pay either the erring worker or the injured innocent. Employers often have to pay thrice more to cover the healthcare costs of employees who have a pain medication disorder. While most employers have health insurance plans and workplace injury coverage, the reality is that money could have been channeled to more important projects. Having to pay for another person’s mistake and habits is unnecessary. And depending on the severity of the injury, the payout can be pretty significant. Because employees on drugs are likely to become careless, their actions can put other workers in danger. These mistakes and errors in judgment can pose physical harm to unwitting employees. Workers under the influence of drugs or alcohol are likely to take careless risks, leave obstacles lying around, and have disregard for their personal safety and that of others. Randomly drug testing employees can serve as a deterrent to drug use in and out of the office. It also helps with improved workplace vigilance. When employees know that they might be met with a urine cup on Monday morning, they’ll be more careful about using the day or night before work. Traces of drug metabolites can still be detected 24-48 hours after use in urine, and 12 hours after in the blood. While workers are free to indulge in their favorite chemicals at home, you want to make sure that the effects would have worn off before they resume at work. Also, knowing that there can be random drug tests at work, will help them stay off those illicit substances at work. Drug test for employment is standard practice these days. This activity costs business owners almost $4 billion a year in fees. While it might seem expensive, it’s nothing compared to the cost of substances. Employers looking for more affordable options should check out this useful page. At the end of the day, it’s all about the trade-off for employers. Carrying out pre-employment drug tests will help an employer spot potential liabilities early on. Thus, saving them a lot of headache and stress. In 2016, 217 people died on the job due to alcohol and drug-related overdose. Of course, these deaths weren’t intentional. When employers don’t spot these damaging habits early, it can leave them open to liability. Grieving families have been known to sue companies because they thought the employer played a role in the drug-related death of their loved one. Is Drug Testing in the Workplace Smart? Of course, it is. A drug-free workplace is a safer and more productive environment. Workers are protected, and their well-being, secured. While some people may be against drug testing in the workplace, the truth is it’s better for the general populace and the employer too. Not only are workers more productive, they’ll also feel safe and relaxed to do their best work for you.